Here is what I created! I also used Jaded Blossom's fall dies for the sign at the top. This Window gable box is from SVG Cutting Files. I used the Reindeer dies and the Tree Border die from Christmas Dies. I tied the reindeer together and added bells to them. Here is a close up of the leader of the pack.. Rudolph! 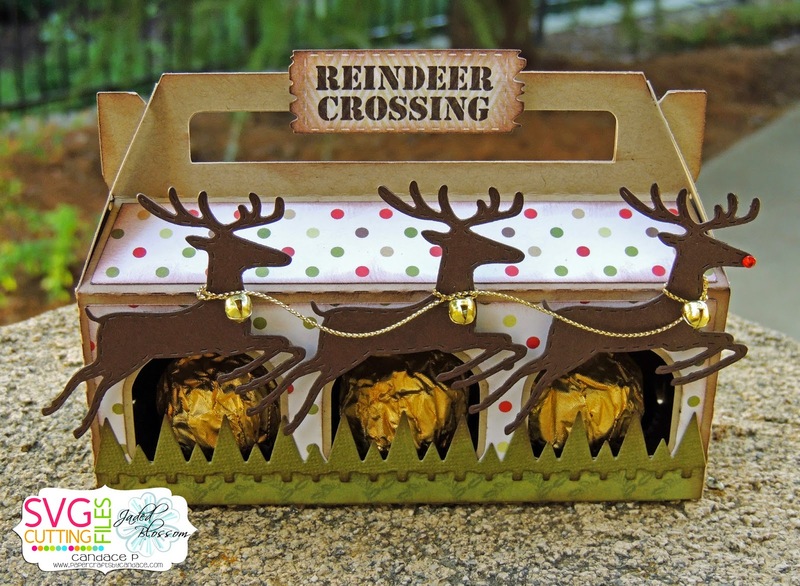 And a close up of the sign.. which reindeer crossing is from the new Christmas Signs stamp set. 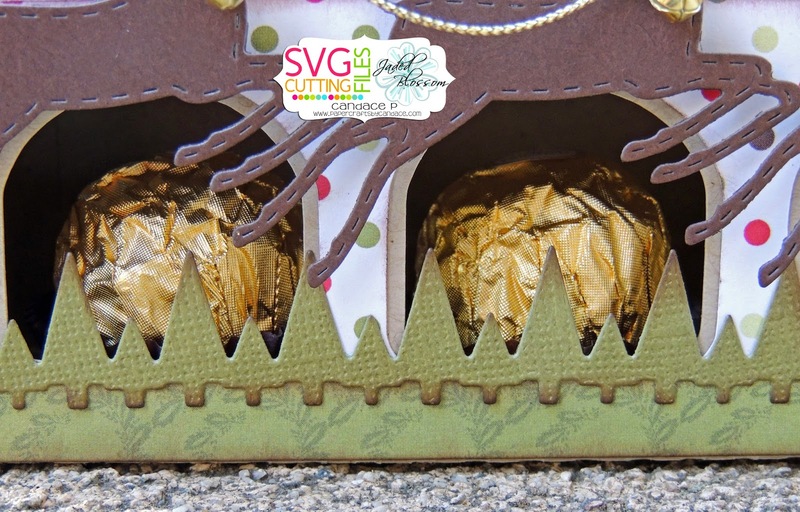 This gable box was perfect for the Ferrero Rocher candies I put in it. I also used the Tree border die for the front. This is just gorgeous! Love how you added the gold cord and bells to the deer and the red nose! Just FAB! this is fn' cool... Perfect for the men in the family... fill it with candy & a gift card and shopping is done... thanks for the inspiration. I just love this! 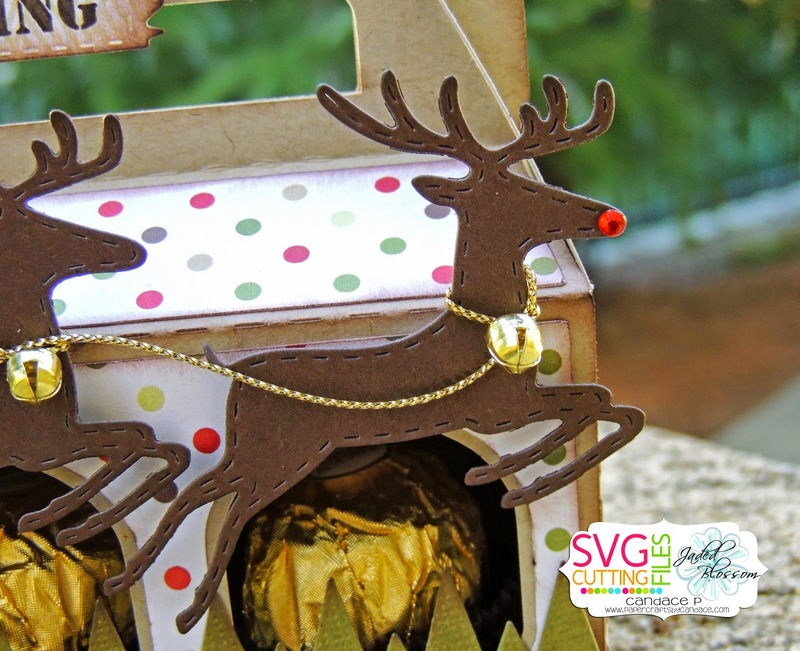 The reindeer are perfect for this box! This is a great treat box! I love the deer! Love this and the bells on the reindeer.